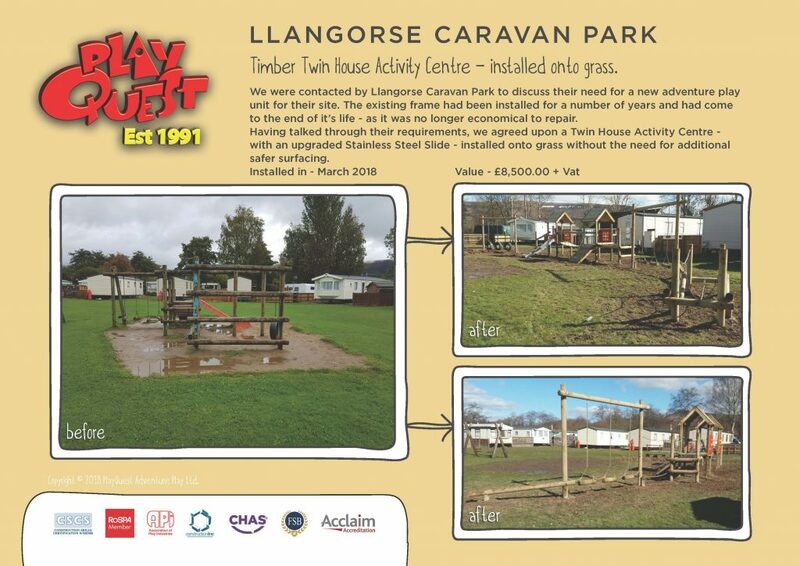 We were contacted by Llangorse Caravan Park to discuss their need for a new adventure play unit for their site. The existing frame had been installed for a number of years and had come to the end of it’s life – as it was no longer economical to repair. Having talked through their requirements, we agreed upon a Twin House Activity Centre – with an upgraded Stainless Steel Slide – installed onto grass without the need for additional safer surfacing.